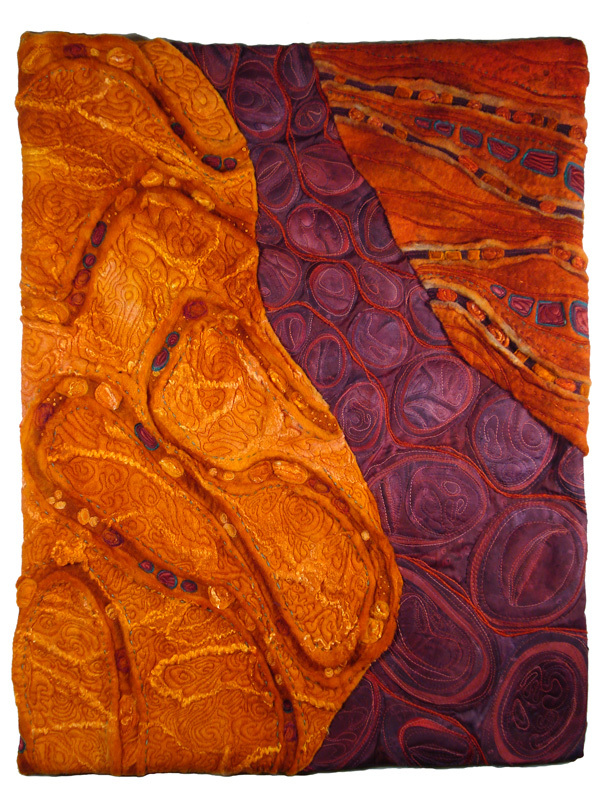 I’m continuing to experiment with combining areas of felting with areas of stitched silk. The felting in this new piece began last summer when I felted with my 90 year old mom and began using resists to create channels . 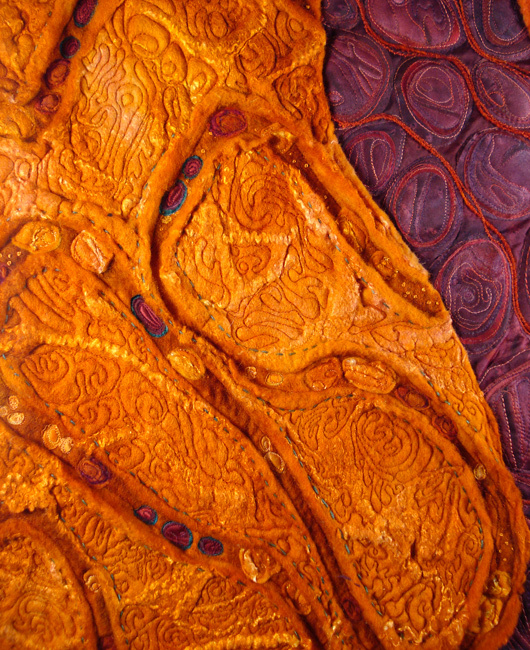 The composition of Worlds Apart was partly defined by those sections of felting I wanted to include. I like beginning a piece with some external constraints-it helps my indecisive and dithering mind to focus! As always, the felted areas were dreamy to stitch into-like carving into soft clay! This entry was posted on December 14, 2013 at 9:17 am and is filed under Artwork, felting, Motivation, Process. You can follow any responses to this entry through the RSS 2.0 feed. You can leave a response, or trackback from your own site.